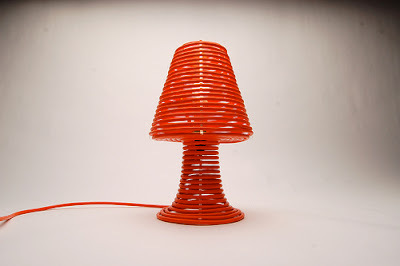 Craighton Berman is an industrial designer based in Chicago and this is his Coil Lamp. 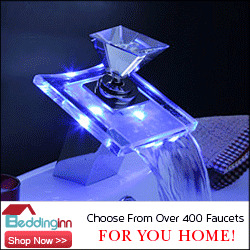 What a brilliant interpretation of a table lamp this is. 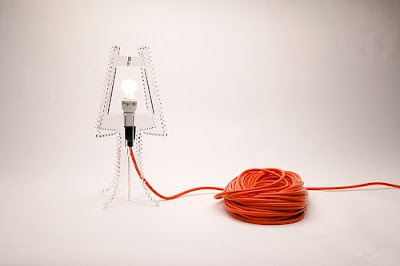 Who would think to make a fixture out of a power source? Craighton Berman, obviously. 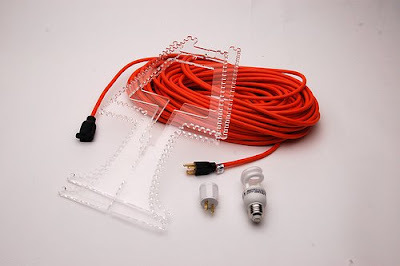 Berman designed a laser-cut, clear Plexiglas frame that supports the wound chord invisibly and the result is the elevation of an everyday object to the lofty heights of modern design. 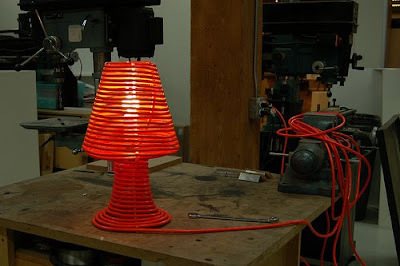 Berman's Coil Lamp will be available for sale in early 2009 and you can register for updates on his website. Thanks to the kids at Apartment Therapy for the hot lead on this one. And bravo to Craighton Berman for his brilliance.